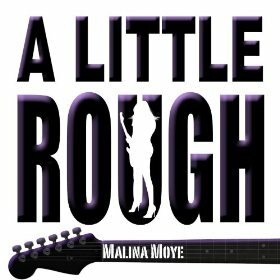 “A Little Rough” is the latest single from the rock songstress, Malina Moye. It’s from her forthcoming sophomore album, Rock & Roll Baby. The song was mixed by Mark Needham who has worked with Pink, Imagine Dragons and The Killers. 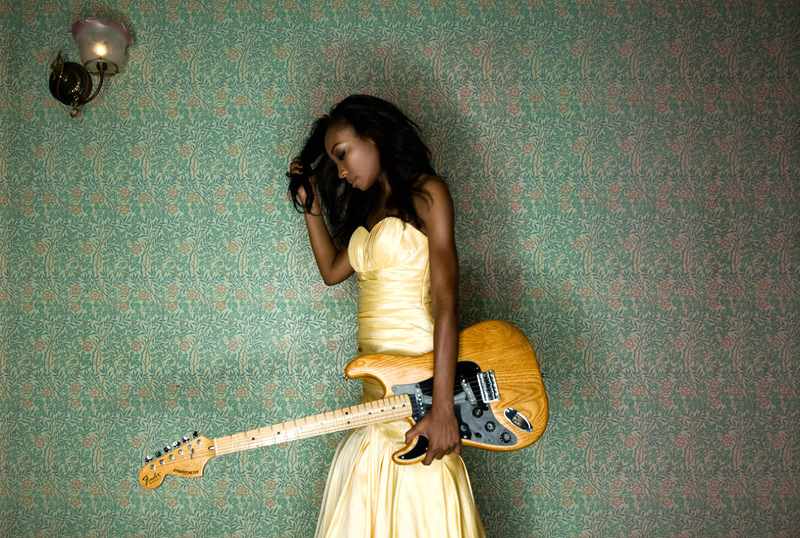 Malina is considered one of the top female guitarists in the world and Fender Guitar recognizes her as one of their first African-American left-handed upside-down female endorsee to join the Fender family. 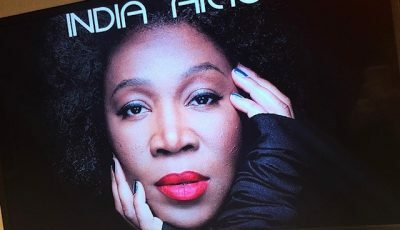 She founded WCE Records in 2004. 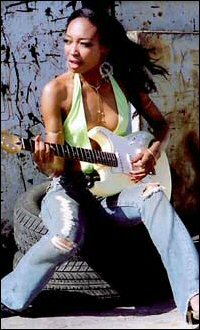 After releasing her single “Girlfriend” and cross-marketing it with her new calendar “Spend 12 Months With Malina Moye: Hot Fun in California Sun,” she caught the attention of critics alike, who dubbed Malina a “Madonna-like ingénue of marketing”. 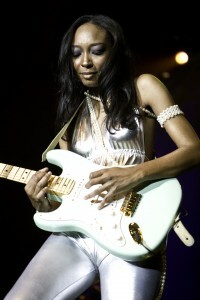 This helped land her song, “Girlfriend”, on the R&B Hip-Hop Sales Billboard listing at number 43 for one week. 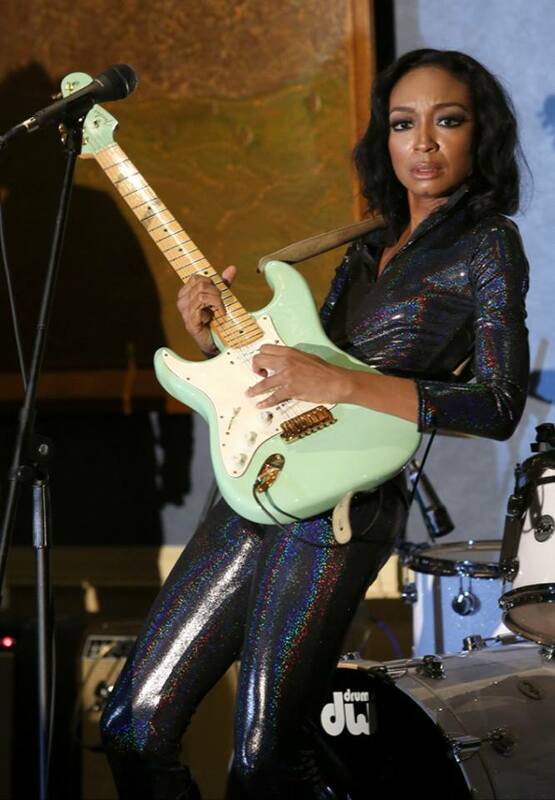 This guitar siren enjoyed a sold out European tour last summer, which included a UK stop to play “God Save the Queen” in honor of Queen of Elizabeth and her 60-year reign. At the same time, Moye’s summer single “K-yotic,” featuring the iconic Bootsy Collins, set social media on fire and built the stage for her highly anticipated album, Rock & Roll Baby. Malina Moye recently took some time to answer a few questions for me about her career thus far and what’s it like having such an impressive title. So when did you first decide that you wanted to be a performer? Have you always been raised around music and musicians? I knew at a very early age that this is what I wanted to do with my life. My entire family is made up of musicians. My mom plays drums and sings, my dad is a bassist and sings, and my brothers produce and sing as well. My training came from our family band growing up. Did you immediately start playing the guitar left-handed? How did that happen to begin with? My dad actually gave me a guitar when I was 6 years old, but I wasn’t feeling it. Then I’d say around nine, I started taking it seriously and when he wasn’t in the room, I would flip it upside down. That felt more comfortable to me, being I’m naturally left handed. How does it feel to be known as one of the first African-American left-handed upside-down female players? Alone. No, it’s exciting! Hopefully now that I exist, there will be more of us popping up. It also teaches you that the one thing that may single you out can be the one thing that helps define your strengths and talents. I really appreciate everything I’ve learned and who I learned it from even more. As a musician, confidence is everything. 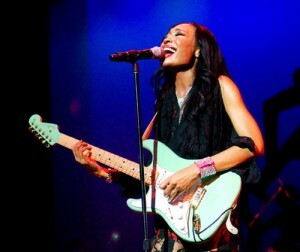 Combining soulful playing with my lead vocals on stage so I can connect with my audience is what it’s all about. And that confidence has allowed me to grow as an overall performer on every level, and I hope my audience at each show has a great time! I love ZZ Ward, Iggy Azalea…I freakin love her…Imagine Dragons, Kendrick Lamar…I could keep going. Life and experiences. Everything is inspirational! You’ve got to be open to receive it. A vessel if you will. What do you think about the rock music on the radio today? I love that it’s always evolving. I’d like to hear more female-fronted bands and women at rock radio. Can you tell me about your experience with Stevie Wonder? What was it like working with him? Mr. Steve is incredible. On my first encounter, we spoke about the President of the United States and I was invited to play his birthday party which was amazing and one of the best days of my life. When I played his annual Christmas charity, Stevie Wonder’s House Full of Toys, I saw his great generosity connected to his great music. It was inspiring and incredible fun. You can see why he is an international treasure from not only hearing and feeling his music, but by just being in his presence. It’s HIM personally–just a conversation will leave you spiritually charged. Why is this lifestyle of traveling/touring and performing one that works for you? Because I love being a kid. The reason I use that analogy is because children are constantly growing and are curious about everything! That’s how I am and how I live my life. I can sleep anywhere, have fun everywhere, and be open to explore new possibilities no matter where I am. Tell me how about starting your own label, WCE Records? What made you want to do that? Because I realized that I’m a different type of artist then what most record labels are used to. So when you don’t fit the traditional model, well, you are going to have to create your own vehicle. I was very lucky my partners and I raised capital and everything grew from there. I must admit I love the business of music almost as much as I like making it! This business will let you know what you are made of, that’s for sure. And I’m competitive. I love to learn and I hate to lose. James Brown, Jimi Hendrix, George Harrison, Freddie Mercury, Prince, Bruno Mars, Janelle Monae, and Eminem to name a few. I’d love to write with Paul McCartney too. You have worked with a lot of incredible musicians. Who have you already worked with that has you have learned a lot from? Watching Eric Johnson tune his guitar back stage on the Experience Hendrix Tour. 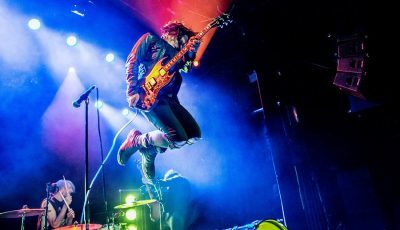 He must have tuned the guitar three different times before going on stage. And I mean ALL the guitars, lol. At the Rock Hall performance honoring Chuck Berry, seeing Mr. Berry do the duck walk at 86… Classic! My dad says I have to touch my pedals a few times. I pray before I go on. And I talk to the venue and say “tonight you’re mine.” At sound check, I case it out, and get to know it so I can own that stage on that night! I’m boring. I like to go shopping and who doesn’t love the movies? And I hang out with my family. That it’s an extension of me. It’s the truth of me and my experiences, and perhaps their experiences too when they listen to it. And I hope it makes them feel something. Good or bad. I hope it moves them!